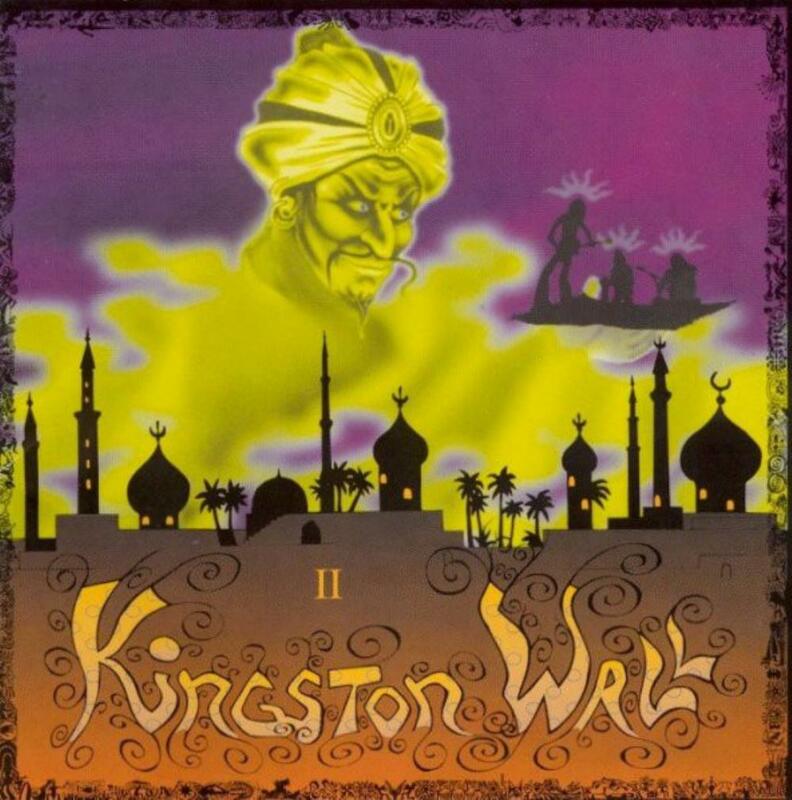 Whereas their previous album was promising but still a bit immature and uneven, KINGSTON WALL's second opus shows important improvements on many points. The band reinforces its identity by mixing elements from LED ZEPPELIN, JIMI HENDRIX, PINK FLOYD and middle-eastern music into more structured, more melodic and less improvised compositions. The result is quite progressive and unique in the psychedelic / space rock genre. This disc is also the first one to truly display Petri Walli's great guitaristic talents. As an opener, the arabic hard prog "We Cannot Move" is efficient and catchy. On the contrary, "Istwan" is a calm pleasant folk instrumental tune that can remind LED ZEP's "III" at the beginning, but differs after. "Could It Be So?" is one of the best passages of the record. Its spacey intro unveils a powerful track with a great guitar solo. The slow melancholic "And It's All Happening" has a floyd-ish introduction and then becomes more nervous. It contains many evolutions and rhythm changes, but also demonstrates the incredible guitar play of Petri Walli. "Love Tonight" possesses a mystical opening and its melody has reminiscences with "We Cannot Move". Another nice moment of the record. Despite, its synthesizer beginning, "Two of a Kind" sounds more like a grunge song but is nonetheless pleasant. Although a bit out of place, the cover of Donna Summer's "I Feel Love" is quite rocky and fun. "Shine On Me" is a sweet melancholic ballad reminding HENDRIX's "Little Wing", but incorporating a saxophone. The 10 minutes mini epic "You" is the longest and the most progressive track of the record. It features various ambiances and rhythms and alternates calm and aggressive moments. To prettily conclude the disc, the instrumental "PalÃ©kastro" can be described as a strong middle-eastern space metal track with cosmic guitar, and will become a classic at the band's concerts. Although the arabic theme is - once again - half-respected, this flawless second album is KINGSTON WALL's most personal. No weak track or abrupt changes here, the flow remains good while the compositions are varied. Quite unique in the psychedelic genre, "II" is a mastered interesting mixture of early hard rock, space rock and middle- eastern music, with top-notch guitar play from Petri Walli, as well as their most progressive and varied opus. The band has created its own identity.